This species is accepted, and its native range is Subarctic America to N. & W. Central U.S.A.
Wallnöfer, B. & Essl, F. (2016). 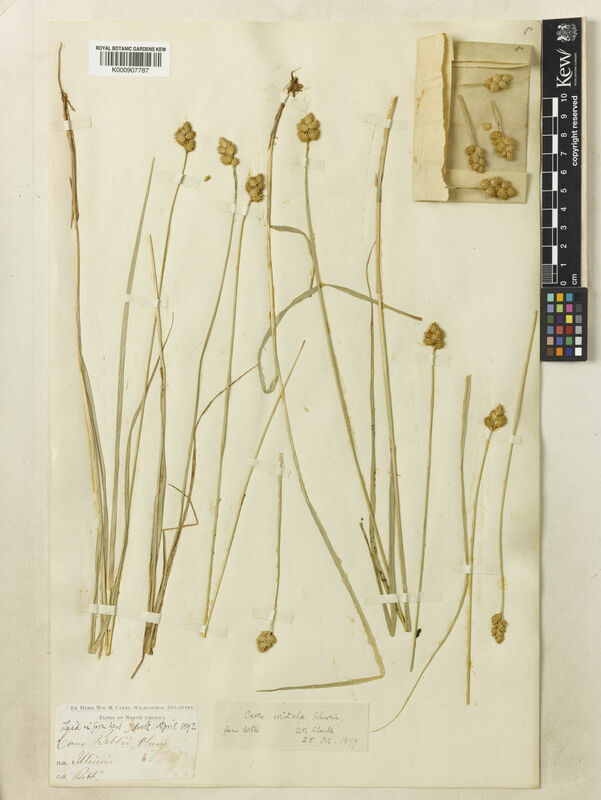 Overview on alien Carex species of section Cyperoideae (including Ovales) in Europe and the discovery of Carex scoparia in Austria Annalen des Naturhistorischen Museums in Wien, B 118: 115-127. Rink, G. & Licher, M. (2015). Cyperaceae. Sedge family. Part 1: Family description, key to the genera, and Carex L. Canotia 11: 1-97. Arizona State University, School of Life Sciences. Cody, W.J., Bennett, B.A. & Caswell, P. (2005). New records of vascular plants in the Yukon territory VII Canadian Field-Naturalist 119: 417-436.